Notre Dame is not the only university bishops are speaking out against for not only inviting a pro-abortion individual to give the commencement address but also giving an honor to said speaker. New Orleans Archbishop, Alfred Hughes, has informed Xavier University that he will not be attending Xavier's graduating ceremonies due to the award they will be giving the Donna Brazile, a firm supporter of women's rights and abortion. Though Donna Brazile, a native of the New Orleans' suburbs, supports things that are specifically against the Catholic Chruch she says that she "will remain faithful to the Catholic chruch and my christian faith." 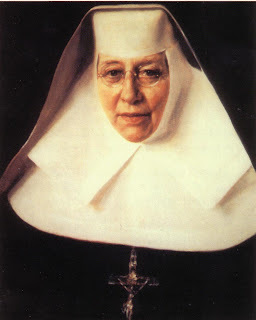 Also, I wonder what the founder of Xavier of New Orleans, Saint Katharine Drexel, would say about this? Bravo Xavier! Good call. Hughes is neither liked nor respected in New Orleans. He is fighting his own flock closing their churches. Donna Brazile, on the other hand, has worked tirelessly for the survival of the city. Believe me, his presense won't be missed. I'm not really sure how you can say "Bravo" to a university that is clearly going to cause more confusion in the Catholic Church by issuing her an honorary degree. Have you ever wondered why bishops carry staffs? Because sometimes, when the sheep got out of the shepherd had to use it to keep his sheep in line sometimes painfully. Have you ever wondered exactly why the "good" shepherd is always depicted carrying the sheep over his shoulders? It is because the good shepherd, upon retrieving the lost sheep breaks the sheep's legs and then carries the sheep over his shoulders (like in the pictures) until the animal's legs are healed. That way, when the good shepherd finally takes the sheep off his shoulders the sheep knows who it's master is and who he is to follow and will then never wander off again. Seems to me that Christ is trying to tell us something in scripture. Perhaps something to the effect that if we aren't following our shepherds the result is much more painful for not only the lost sheep but also the entire flock than we intended it be, as the shepherd must leave his flock unattended while he fetches the lost sheep. Yes I can see how God's broken a leg or 2 of mine in my life! God bless our strong Bishops like Archbishop Hughes. To hold someone up for helping a city survive while she promotes the killing of its citizens - that's just insane. Thanks for the biblical analogy Paul. I have to remember that after we are broken, we are carried, as He carried His very Cross.